Loss Prevention and Security Procedures assists CEOs, security management and loss prevention specialists in dealing with loss. Losses in an organization may originate from a variety of threats, including natural disasters such as earthquakes, tornadoes, and flooding. However, many of the threats to our assets are posed by individuals and may include drug activity, violence, theft and fraud. Loss Prevention and Security Procedures deals specifically with these and many more problems facing today' s security conscious professional. 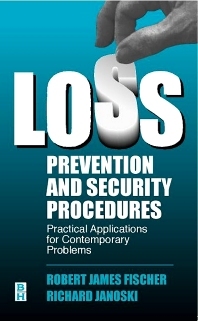 Written from the management perspective, Loss Prevention and Security Procedures offers discernment and wisdom directed toward the philosophy of anticipatory security, before losses occur and resolving them through the most cost effective initiatives possible. Assists CEOs, security managers and loss prevention specialists in dealing with loss.